Mike Beland teaches the University of Maryland School of Law’s courses that support semester-long internships on Capitol Hill. As a nationally recognized homeland and national security expert, he is a Managing Director at Deloitte & Touche, LLP, where he advises public and private sector clients on physical and cybersecurity risks. He also serves on the board of the Maryland Center on Economic Policy. Beland has held senior positions in the legislative and executive branches of the U.S. Government. In May 2010, he was appointed by President Barack Obama to be Senior Counselor to the Assistant Secretary for Infrastructure Protection at the U.S. Department of Homeland Security. In April 2011, he was appointed Chief of Staff of the DHS Office of Infrastructure Protection. He has also served as Subcommittee Staff Director of the Subcommittee on Transportation Security and Infrastructure Protection of the Committee on Homeland Security in the U.S. House of Representatives and Counsel to the Committee’s Chairman. 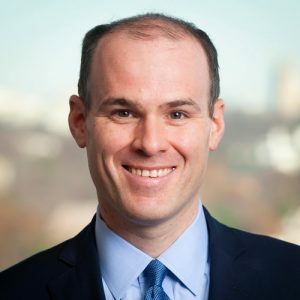 Beland graduated from the University of Wisconsin at Madison in 2001, attended the London School of Economics and Political Science, and graduated from the University of Maryland School of Law in 2004. He is licensed to practice law in the State of New Hampshire.